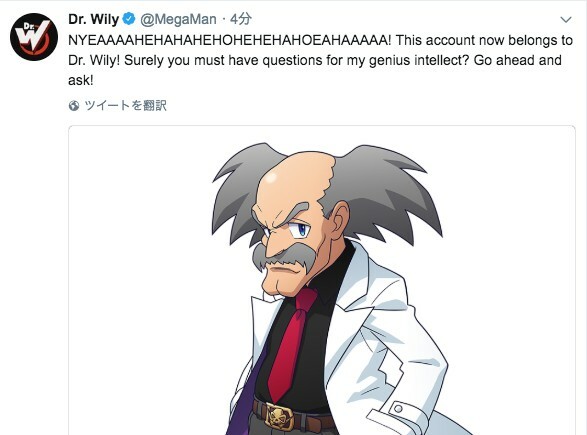 Following Wario’s intrusion of Nintendo of America’s Twitter account, Dr. Wily from the Mega Man series has taken over the official Mega Man Twitter account. For his first tweet, the Mega Man series villain asked followers to ask him questions for his “genius intellect”. If you’re lucky, you may receive a response from Dr. Wily. Why not try asking him some questions below? And here’s what he thinks about Dr. Eggman.